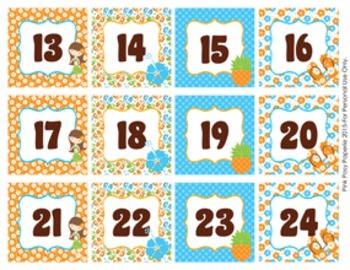 These sweet calendar numbers are great for a luau theme classroom. Includes numbers 1-31. Numbers would also be great for numbering cubbies, lockers or book bins. The numbers measure 2 1/2 inches square. 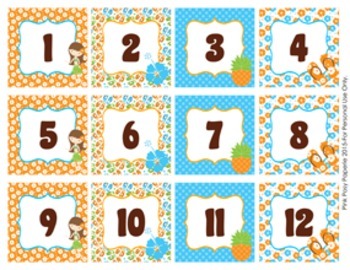 Print onto cardstock and laminate for sturdiness. File includes three 8 1/2 x 11 sheets.